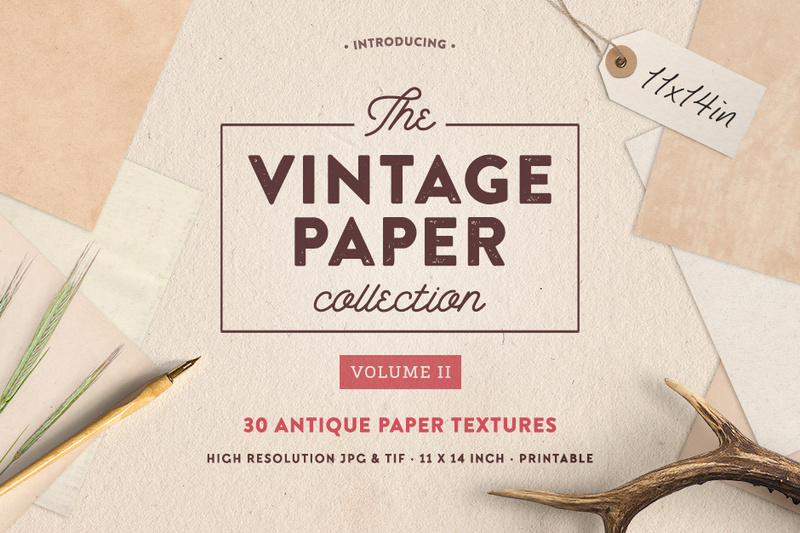 Introducing a new wonderful set of vintage paper textures! At 11x14in this collection will be perfect for your larger format projects and will give you more freedom when working in small sizes. The pack includes 30 natural paper textures ranging from off-white to burnt brown. Scanned from real antique books and gently touched up in Photoshop to bring out the subtle grain texture of each piece. Perfect for invitations, mockups, art prints, overlays and more! Software compatibility:.JPG and .TIF files will work with most graphic software. File size is approx 1.29GB (1.73GB unzipped), offered as a single download.